Jurgen Klopp had an amazing response to Jose Mourinho’s claims that Liverpool need to win the Premier League this season. Liverpool have been one of the biggest spenders amongst the Premier League clubs this year. Virgil Van Dijk joined the Reds for a reported fee of £75m from Southampton in January, and in the subsequent summer, Klopp has strengthened the midfield by adding Fabinho and Naby Keita to his ranks. The Merseyside club added two players after the end of the World Cup. Xherdan Shaqiri was brought in from relegated Stoke City, while Alisson will replace the clumsy Loris Karius. Liverpool have nearly spent £250 million on transfers in 2018. 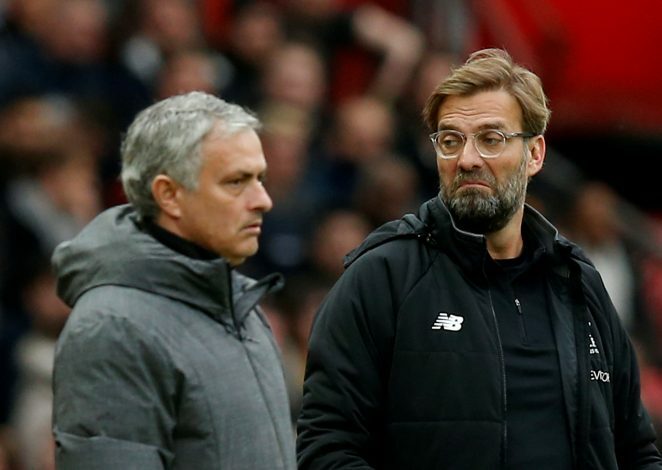 Having invested such a large amount of money, Manchester United gaffer Jose Mourinho believes that Liverpool need to win a trophy this season. And now, in an interview before the two sides play in the US, Jurgen Klopp has responded to the Portuguese’s comments. The former Dortmund boss stated that it was difficult to make Mourinho happy, whilst also claiming that the United boss’ comments weren’t a mind game, and he was free to make any comments on his transfer business. Klopp also accepted the fact that big money transfers cannot be linked to immediate success. “One of my biggest goals in life is to make Jose smile – it doesn’t happen very often,” said the German. “I don’t even think it is a mind game, I think it is normal. I would never talk about Manchester United if no-one asked me about it. Mourinho is known to make such comments often, but Klopp gave a humorous response to it. Some would call the Red Devils’ manager too bold for making such a statement, considering Manchester United are yet to make a signing that improves their starting XI significantly. The Mancunians are interested in adding a centre-back and a winger before the transfer window closes on August 9. Toby Alderweireld or Harry Maguire could make the move to Old Trafford in the coming days, but it is anyone’s guess as to who the offensive reinforcement would be.